Chris Ball has a strong background in field sports in that he has served as a contracted Aussie Rules player in his native Australia and has competed at all levels of club rugby. Chris is married to the lovely Lynn,also, a member of the faculty at the College of William and Mary. 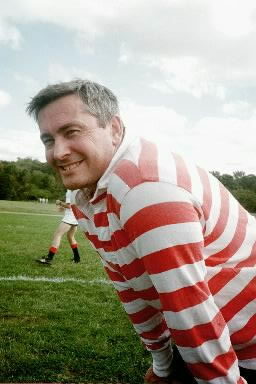 Chris is a professor of psychology at the College and offers the W&M RFC a wealth of rugby knowledge and perspective. More on Dr. Ball's professional site.